With amazing recipes, and tips and tricks in the kitchen, we love every opportunity to celebrate flavour. Let's discover the world of taste together. Knorr products adds a burst of flavour to whatever you're cooking. 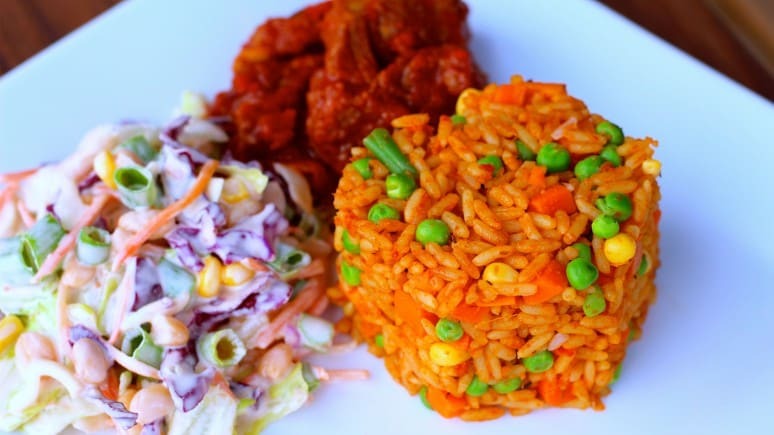 Whether it's jollof rice or coconut rice or fried rice, there's a rice recipe for you. Enjoy a variety of soups, seasoned to perfection with your favourite Knorr cubes. Craving a taste of Naija? Indulge in our local specialities, from Edikang Ikong to Abak Atama. To make great tasting meals, you have to have a lot of love. Watch this video as Chef Fregz demonstrates just how easy it is to fillet fish. A simple garnish can add the finishing touches to quick and easy recipes. Garnishing doesn't have to be complex. Learn how to Hollow out a Pepper and make a Simple Garnish. Knife skills in the kitchen cannot be overemphasised. Save yourself from nicks and cuts by learning basic knife skills from Chef Fregz. Easy chicken recipes don’t get much easier than this. Chef Fregz takes us through the preparation of this easy dish which can literally be prepared in minutes. When it comes to food, high quality is our philosophy, and it's One that’s been years in the making. Our story starts back in 1838, when Carl Heinrich Knorr opened a factory in Heilbronn, Germany, supplying chicory to the coffee industry. This breakthrough ushered in a string of advancements. From the launch of the nutritious ‘Erbswurst’, or pea soup, in 1889, to the pioneering Knorr European sauce mix in 1908, creativity and innovation have been at the heart of everything our chefs do. We love food the way you love food. Everything we do is done with dedication and passion. To make great tasting meals, you have to have a lot of love. Enough love to select your ingredients carefully. Love for the warm glow of the stove as things start to heat up.